View More In Bolt Snaps. Koch (pronounced "cook") Industries, established in 1978, is the premier provider and merchandiser of high quality chain, rope and accessories in North America. Maximum load of 80 pounds. Maximum load indicates the greatest load a product can carry under normal conditions. 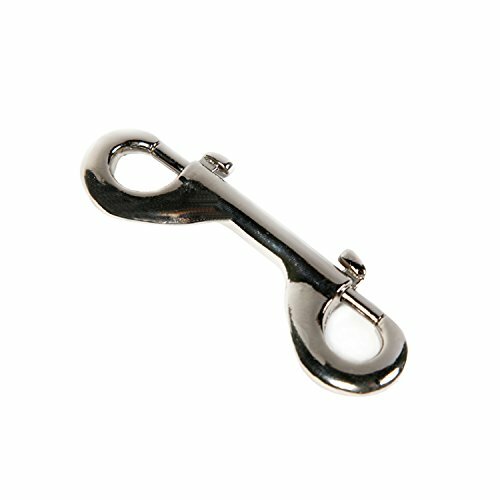 Bolt Snaps are designed for use with rope, chain, straps, animal leashes and other home, farm and recreational applications. Applications include marine, pet, luggage repair, camping, gate repair, flag poles, and many other uses. Made of die cast construction and available in nickel, zinc, stainless steel or bronze finish. HORSE AND LIVESTOCK PRIME 106864 Bull Snap Hook, 7/8 x 4"